The week leading up to the Colombo Music Festival presented by Cinnamon Life will be studded with the arrival of the stars who will make 18 August a day to remember. The excitement is building up across the Island with the news of their onset in the days to come. 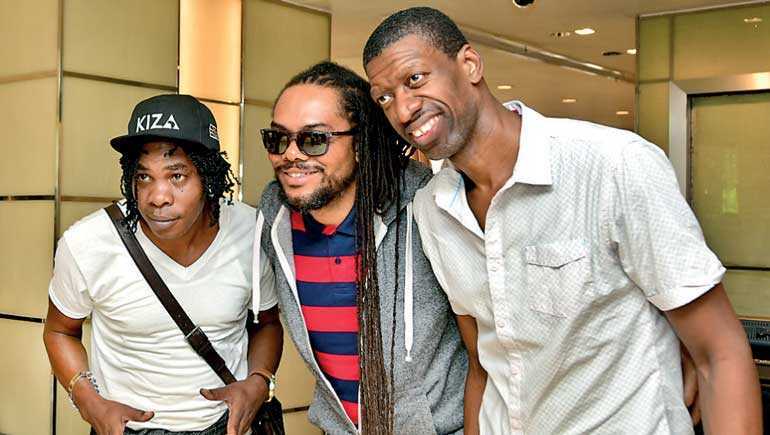 Richard ‘Goofey’ Campbell and some of the other members of Big Mountain arrived in Sri Lanka on 14 August, well in advance to get everything ready for the event and give their best to their fans and all those who would be at the event to have a good time. Despite being tired after a long flight, they conveyed their excitement in performing in Sri Lanka and how much they look forward to Saturday to entertain the Sri Lankan audiences. “Check it out, you got to be there. We are very excited to be here right now. I love Sri Lanka, I love the food and the people!” ‘Goofey’ from Big Mountain claimed excitedly. When asked about what to expect of them at the festival they said “It’s gonna be fire, check it, it’s gonna be fun on the 18th, nothing less than high energy!” they exclaimed. To buy your tickets visit www.cinnamonboxoffice.com or call 071 711 8111. Cinnamon Life presents Colombo Music Festival 2018 in association with Sri Lankan Airlines – powered by YES101, Legends96.6 and TV1 with Nations Trust Bank – Inner Circle as Banking partner, Conceptualized by Cinnamon Hotels & Resorts. Coca Cola as Beverage partner, Nations Trust Bank – American Express as Card partner. Television partner – Dialog TV, Energy partner – Red Bull, Liaison partner – Next Level Agency, PickMe – Mobility partner, Grasshopper – Delivery partner, Munchee – Snacking partner, Axe – Fragrance partner, Universal Sound - Audio Partner, StageLight – Stage & Partner, Print Media and Web partners Sunday Times, Daily Mirror, Daily FT, Life online, Daily Mirror.lk, Hi Magazine and HI TV, Cinema Partner Scope Cinema and Outdoor media partner Emerging Media.